In the March 15, 2016 Ask The Headhunter Newsletter, we do something completely different. We take a video approach to “the mountain” that stands between you and your next job. Microsoft recently asked me to talk for 20 minutes to thousands of IT (information technology) professionals whose jobs are at risk due to rapid changes in technology and in the economy. What can they do to save their careers? What kind of work should they do next? I tuned my comments for Microsoft’s 3-day TechNet Virtual Conference (March 1-3, 2016) — but what I told the audience applies to any line of work, and it’s from the core Ask The Headhunter ideas we discuss here every week. This video includes about 20 minutes of me talking about the new economics of work, and 15 more of Q&A we did via Skype afterwards. A big thank-you to Microsoft and Channel9 for sharing this video with the Ask The Headhunter community. This video raises in-your-face questions. Do you demonstrate breathtaking initiative to get a job? Are you accountable for how your work contributes to the bottom line? Can you ride a fast learning curve without falling off? Do you understand the new economics of work — and can you show you’re the most profitable job candidate? I talk about the #1 problem job seekers face: They let a mountain of obstacles interfere with their efforts to get a job. They try to beat the online job boards. They struggle to tunnel through Applicant Tracking Systems (ATSes). They play the keyword game with automated job application systems. They keep failing to reach the top of a mountain of competition. In the video, I talk about why there is no mountain — no resume to write, no job postings to select or decipher, no job applications to file, no interviews to play to. I’m not kidding. I don’t think any of those “tools” help employers hire or job hunters get hired. I think our economy is bogged down by the detritus of phony, automated recruiting — it doesn’t work! There’s just fearless job hunting. You become part of the circle of friends that naturally leads people to jobs — and that leads to hires. You show up with a clear definition of the problem or challenge that needs to be tackled. You deliver a viable business plan for the job. You show how you’ll do the work. And you create a new, profitable outcome the company never contemplated. You make yourself the job candidate who stands out from all the rest. Does it matter what kind of work you do? Virtually every kind of work today is under siege of one kind or another — but for the same reasons. Every industry, every company is increasingly focused on the bottom line. The shift that everyone faces is not just technological. It’s economic — and it’s about accountability. That’s what I talk about in the video. Economic pressures supersede all others — and technology jobs feel the pressure most because that’s where efficiencies that solve economic problems are supposed to come from. But no matter what kind of work you do, the shift must be in your own perspective. Success is not about chasing hot jobs, because there’s really no such thing. (What’s hot changes by the time you catch it!) It’s about whether you are hot. What makes you hot? You have to make yourself and your work accountable. If you wait for the bean counters to do that, you’ll probably lose your job if you have one. If you work in IT, the video will get you started on how to advance your career in the face of stunning shifts in technology — changes that probably put your current job at risk. And if you don’t work in technology, you’ll quickly see how my suggestions will help your career in today’s turbulent economy. 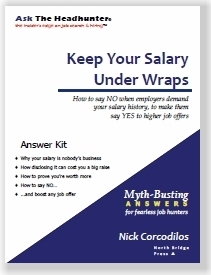 As I said, the 20 minutes of this video summarize many of the core ideas we talk about on Ask The Headhunter all the time. 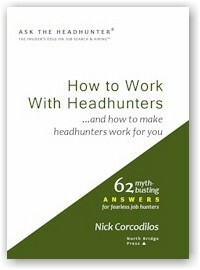 Of course, I couldn’t squeeze every Ask The Headhunter method, tip and lesson into a 20 minute video. 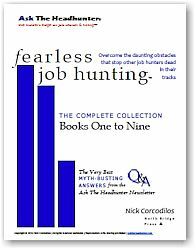 For more about how to be a fearless job hunter who stands out from the competition by delivering profit, check out the Introduction to Fearless Job Hunting, which also details which of my books address which challenges. I hope you enjoy the video, and that it inspires you to forget about mountains and obstacles while you plan how to deliver profitable work to a worthy employer — work that’s profitable to you, too. Okay — let’s hear what you liked and didn’t like about what I said in the video. Then hit me with the in-your-face questions — what do you want to know more about? What would you like to see in future Ask The Headhunter videos — because I’m planning to make more. Let’s pound these topics! I woke up at 0330 EDT, wondering how I was going to change my job that is interfering with my family life. 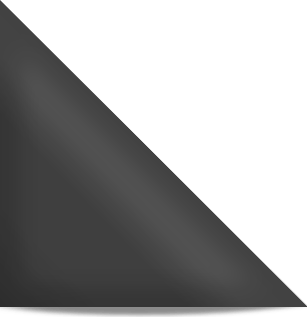 This post is exactly the reminder I needed that applying what I have learned from your blog has helped me so far. I was just starting to get bogged down in the online resume spiral myself, even though I know better. Gee, Nick, you must have read my mind! This was a good refresher on the ‘Nick way’. thanks. I’ve followed much of what you do for the past two years, since I’ve gone solo/ started up my business and this was a great reminder of how to keep on the path. I dug up my business plan – how I show value in various different ways- business development, research, technical writing, marketing, etc. to see how I am doing. Although I (necessarily) get bogged down in farming prospects and (necessarily) in doing the actual work and paying bills, I saw a few places where I can do a lot better – a side project I tabled a few months ago, my marketing, etc. …I also may have to move now– just so I can avoid getting a bill from you for the valuable services you provide on this site! Haha! I always wondered how to show you add to the bottom line, and this video explained that. I was unsure if you provided a dollar amount and/or show that you add value to the company with your skill set to help the manager get work done. An excellent way to start the day. As always your message is spot on. After watching the video, I immediately forwarded it to several software engineers that I know who are looking for new jobs as well as promotions; they desperately need to hear this. The message couldn’t have been presented any better. Thanks for the great content you continue to put out. Nick — As always, 5 Star. Thanks. wow . . . It’s gonna take awhile to find the words for this fabulous talk recorded in a real world setting. I’ll be workin’ on finding those words. In the meantime, I’ll be making judicious use of the “I” word. I’ve always hated job descriptions that say “drive this” or “drive that” when what they really need is someone who takes initiative. While I’m stumbling around for words to describe the video, I think I’ll start with Comprehensive Quantum Focus. :-) Thanks, folks! Glad you like it! Please share the link! Good day, Nick! 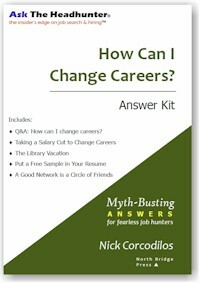 Wonderful video, and it came at the right time to reinforce your approach to career searching. Keep it up! Hi Nick,once I get to know the company that well as to be able to show the actions which can give them extra profits, what are the advantages of wanting to become an employee and not a consultant. I bet the consultant rates are much higher than employee’s. I’m talking about a situation whenI approach a company from outside, not being an actual employee. This serial networker said it so well in this blog (Harvard Business Review). I’m picky about networking – I’m selective in talking with someone unassuming and low-key in a gathering. I get far superior information and learn about the person in conversations.